Here at Hart Motorsport we have just received a limited number of some very rare 1:43 scale Diecast F1 models. 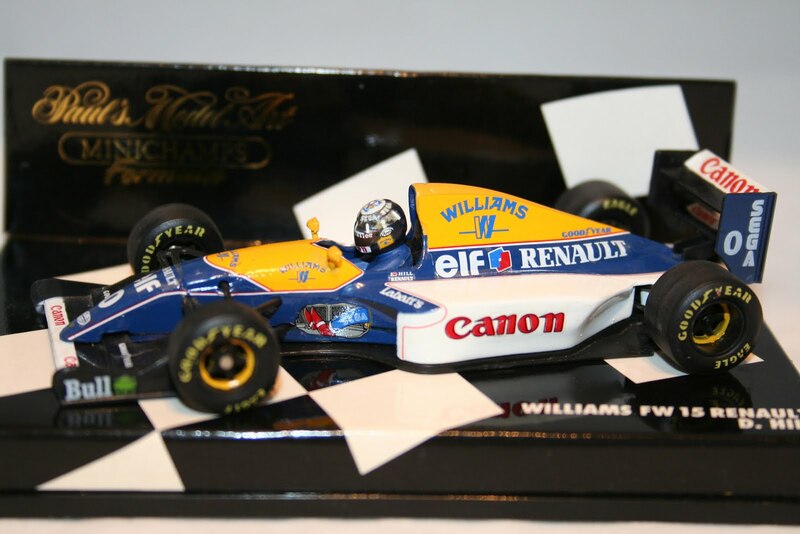 Now in stock is this very rare Williams FW15 F1 car as raced by Damon Hill in 1993. Also now available is a Minichamps Ferrari 126 C2 as raced by Gilles Villeneuve, a Spyker F8 as driven by Sutil in 2007 and the last of the Marlboro McLaren's, the MP11 as raced by David Coulthard in 1996. All these models plus 100's more are available in store below.